“Four Races” playing cards were designed by Latvian artist Vilnis Rasa in 1989, published by Jānis Mētra as “Latvijas Pasjansa” (Latvian Patience) and printed in Lithuania by Albinas Borisevicius at his “Orija” colour digital printing works in 2007. Re-printed as “Nensijas” in 2015. 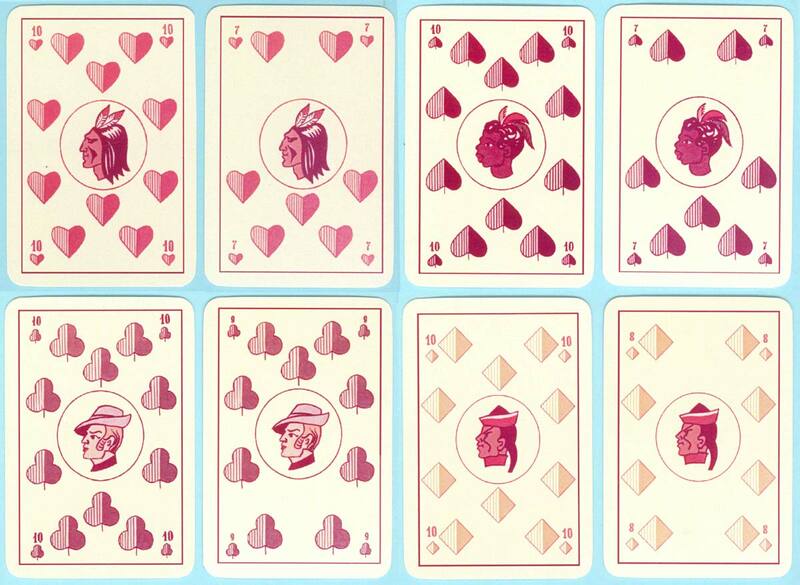 The suits are hearts, spades, clubs and diamonds, total 32 cards + 2 jokers + 2 extra cards. Above: “Four Races” playing cards designed by Vilnis Rasa in 1989, re-published by Jānis Mētra and printed by “Orija”, Lithuania, 2015. Images courtesy Jānis Mētra.